"The 7-story pagoda also dates from the same period, burned down during the Ōei period and was reconstructed again in 1585. 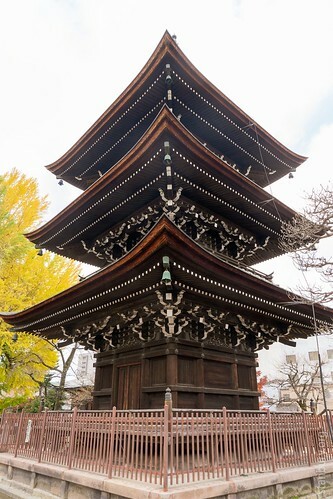 It was burned down again in the battles between Kanemori Nagachika and Anegakoji Yoritsuna and a 3-story pagoda was built in its place in 1615. This structure also burned down in 1791 and was rebuilt in 1820."